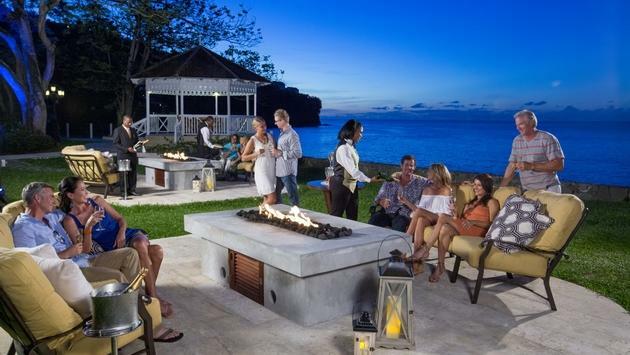 Sandals Resorts has a new incentive for group bookings by Canadian agents, with the chance to win a three-night stay. Sandals and Beaches Resorts are putting a little spring in the step of travel agents. Canadian agents who book any type of group – social, wedding or corporate – of five rooms or more (for a minimum three -night stay) at any Sandals or Beaches resort now through June 30, 2019 will automatically be entered for a chance to win a three-night stay of their very own. Contest is valid for all contract groups booked with either a tour operator partner (Air Canada Vacations, WestJet Vacations, TravelBrands or Transat) or Unique Vacations, Inc. Each and every new group booked immediately earns one contest entry – and – groups booked to Sandals or Beaches in Jamaica receive a bonus entry…all with no contest forms for the agent to complete. There are no limits, so the more groups booked translate into more contest entries. Restrictions apply and the incentive is not available for agents in Quebec. “Sandals Resorts offers incredible value for groups of all sizes with a host of luxury concessions from free rooms to a free private cocktail reception and dinner,” said Grant Lawlor, National Group Manager, Unique Vacations Canada, Inc. “We believe that group travel is one of the fastest ways for agents to grow their Sandals business. This booking incentive is just another opportunity for us to thank agents for their support.